Few Express Entry Draws left in 2018- will you get Invite? As per the Express Entry pool status on October 11, 2018, there are 9,404 Candidates with CRS Score between 431 and 440. Well, this, in fact, is a huge number of candidates, which didn’t receive the ITA (Invitation to Apply) at all this year unlike the year 2017, when all applicants within this range got the ITA quiet comfortably. This year IRCC seem to have refused to drop the CRS (Comprehensive Ranking System Requirement below 440 marks. This, in fact, has been the lowest qualifying marks announced by IRCC (Immigration Refugees and Citizenship Canada). This year, IRCC has shown a quite stern pattern of Express entry draw results, especially when it comes to providing any relaxation in the cut off marks. The qualifying marks never reduced by the great margin or decreased consistently in 3 draws. 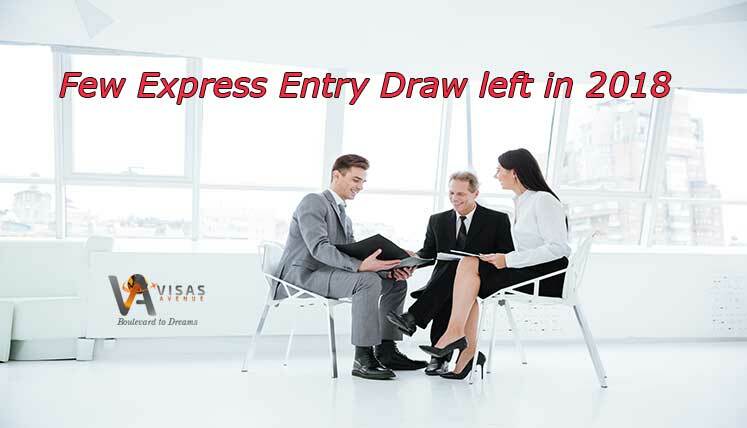 If it reduced in one draw, in very next EE draw, it raised again, teasing the express entry applicants with low CRS score. Increased number of applications in the federal express entry system, more and more people obtaining the Provincial nomination through PNPs, etc. could be the reasons for CRS score requirement from IRCC not coming down at all below a fixed mark. What are chances this year with CRS score 430-440? If your CRS Score is in 430s, you still have a ray of hope as you are almost close to borderline, however, the chances are quite slim for obvious reasons. The IRCC (Immigration Refugees and Citizenship Canada) has making all efforts to keep the cut off marks 440 or above and it has done it successfully throughout all the EE draws launched this year. Hence, to hope that it will suddenly reduce the same drastically in next few draws will be nothing but a pure exaggeration. Even if IRCC thinks to reduce the CRS score requirement, it won’t be by the huge margin. The best thing to do this in such scenario is to look for alternate options. What are the alternate options to obtain ITA? The first and foremost alternate is to apply in a Provincial Nominee Program and try to obtain the nomination for Canada PR. Most Canadian provinces have their own provincial nominee program, through which they select and nominated the suitable applicant for permanent residency in Canada. The provincial nomination helps you to obtain Invitation to Apply in the express entry or to apply directly permanent residency to IRCC. If you apply in the Express Entry stream of a PNP and get selected for nomination, you may get you 600 additional CRS points in express entry system. You can also increase your CRS Score in express entry system by following some key tips. If you need professional advice or complete immigration process support from qualified Canada immigration expert, you may call Visas Avenue Immigration. You are promised to get vital assistance for applying in the most appropriate PNP or increasing your CRS score in Express Entry System.